Here’s what’s happening this weekend, starting tonight, with some song and dance! Sings & Songs Annual Dinner Theatre at 6 p.m. at the Sapulpa High School commons area. 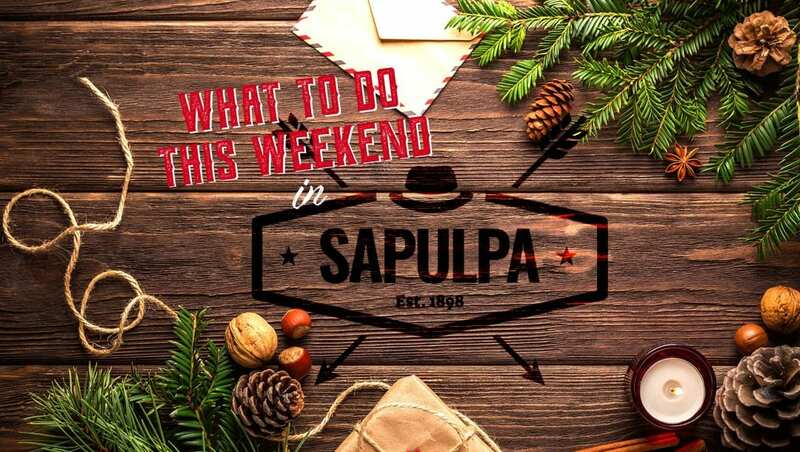 The Sapulpa High School Theatre, Musical Theatre, and Culinary Club will host this evening of short plays, music, and dinner served by SHS students. Storytime in Spanish at 1 p.m. at the Children’s Area at the Sapulpa Public Library, 27 West Dewey Avenue. There will be stories, songs, and fun for the family! For more information, please visit the Facebook page here. Reindeer Dash Kids Fun Run hosted by Sapulpa Parks from 4 to 7 p.m. at Kelly Lane Park in Sapulpa. Bring your kids for a fun, FREE day with a half or 1 mile run, then stay to have hot cocoa and cookies and to visit with Santa! For more information, please visit the Facebook event page here. Chad Taylor Benefit at 4:15 p.m. at Pat’s Place, 17 East Dewey Avenue in Sapulpa. Chad was injured in a motorcycle accident in October. All proceeds will go to Chad and his boys to help cover any expenses he has acquired due to this event. There will be live music by The Vintage Boys, a 50/50 raffle, a silent auction, and a $7 a plate BBQ and chili dinner. For more information, please visit the Facebook page here. 2nd Annual Christmas Vendor Splendor from 4 to 7 p.m. at the Glenpool Conference Center, 12205 South Yukon Avenue in Glenpool. This event features pictures with Santa, food trucks, and over 50 vendors! Admission is free. Come out for fun, food, and prizes! For more information, visit the Facebook event page here.